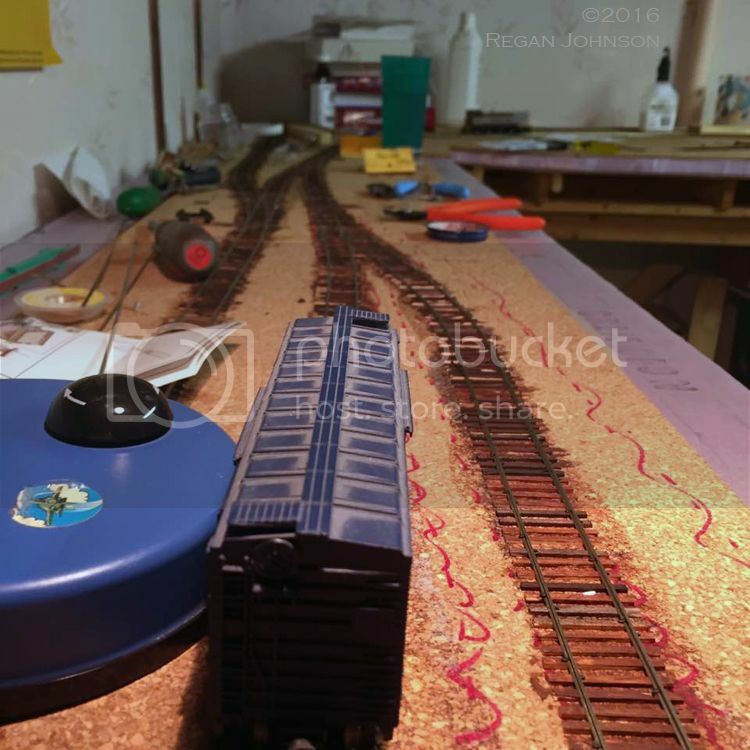 Thanks to my friend Regan Johnson for sharing a photo of progress on his layout, the CP Rail: Scarborough Industrial Spur. As regular readers know, I drew a plan for Regan, and built the two in-street turnouts that the design requires. 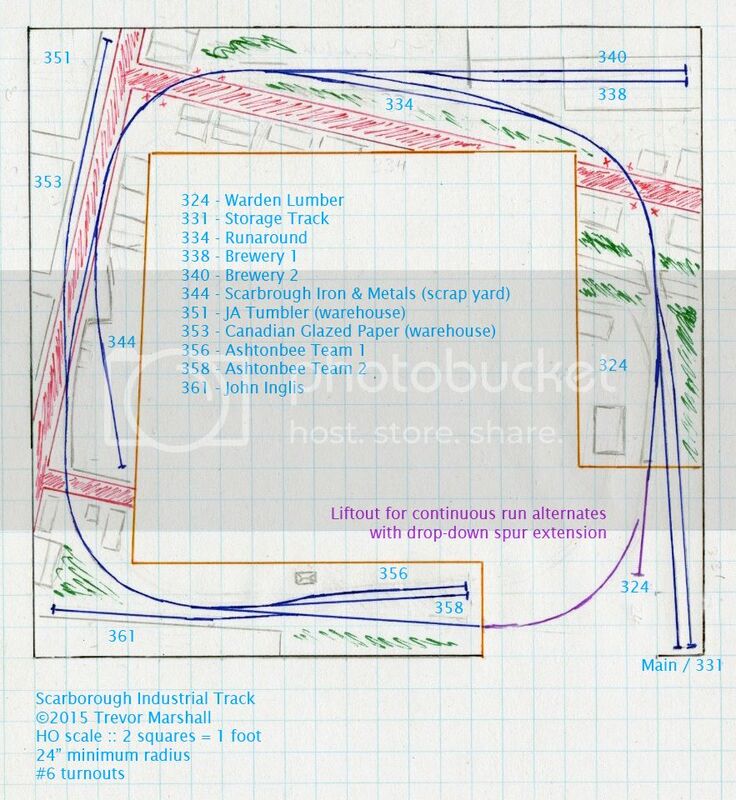 In the image above, we’re looking from the room entrance along the main track next to the team yard (along the bottom edge of the plan, below). The boxcar is standing on spur 358, while spur 361 to John Inglis is in the upper left. Regan reports that all track is now laid up to the location of those two in-street turnouts, so it’s time for me to pay him a visit and help him install them. Thanks for the update, Regan!